He lived. He died ... What happens next?After that momentous Easter Sunday, over 2,000 years ago, Jesus spent 40 days on earth. 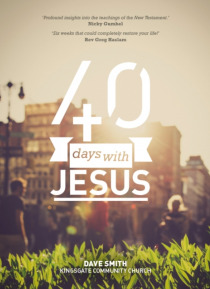 The significance of what took place during those days is as compelling today as it was then; because of the truth that Jesus is alive.With this book, spend 40 days of your own exploring the post-resurrection appearances of Jesus. Discover the vital evidence of His resurre… ction and see how He changed the lives of those He came back to restore, guide and empower. But most importantly, encounter the risen Jesus for yourself.Ideal for individuals, small groups and churches.